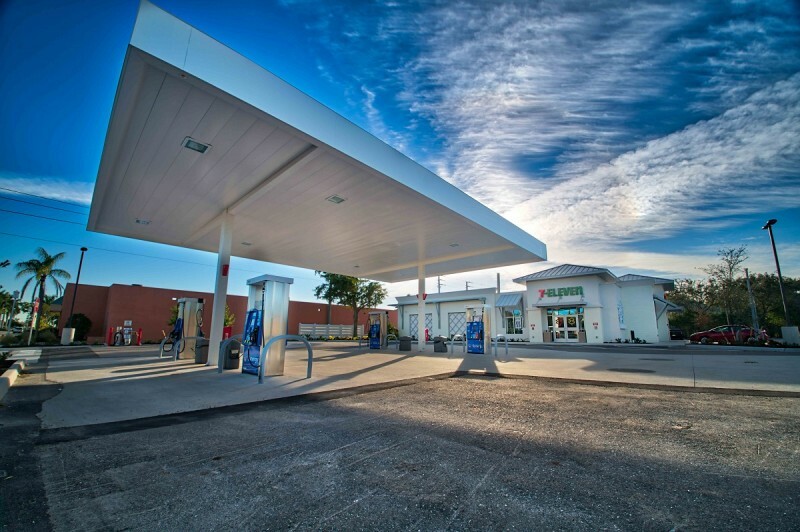 Creighton Construction & Development has completed a renovation project for a new 7-Eleven convenience store and gas station along 7th Avenue North in Naples. The new 7-Eleven, located at 860 7th Ave. N., is positioned at the southwest corner of 7th Avenue and U.S. 41, just a mile from the boutiques and restaurants on prestigious Fifth Avenue South. Creighton transformed an existing convenience store into a modern 7-Eleven, a 3,186-square-foot convenience store with four fuel pumps and eight pumping stations under a covered canopy structure. Creighton’s team for this project was led by project manager Dave Gardner and superintendent Tracy Saylor. Creighton is the largest developer and construction contractor for 7-Eleven in the nation, having completed more than 150 new 7-Eleven stores to date in Florida, Texas and Colorado. Creighton also has several 7-Eleven projects currently in progress and plans to expand into additional states in 2019. 7-Eleven, Inc. is the premier name and largest chain in the convenience-retailing industry. Based in Irving, Texas, 7-Eleven operates, franchises and licenses more than 67,000 stores in 17 countries, including 11,800 in North America. Outside of the U.S and Canada, there are 7-Eleven convenience stores in Japan, Taiwan, Thailand, South Korea, China, Malaysia, Mexico, Singapore, Australia, the Philippines, Indonesia, Norway, Sweden, Denmark and United Arab Emirates.